As I am sure you all remember, Earth Day was on April 22nd. It is a great day to raise awareness, and to remind ourselves about how we can be more eco-conscious, and why. Now that Earth Day has passed, it is also important to remind ourselves that everyday is Earth Day! After all, we all live on and share this earth, every single day. There is no reason why you have to compromise the planet in order to provide your child with toys when it comes to Green Toys. I always love finding truly amazing product, and Green Toys is just that. All of their products are made in the USA, and therefore local---which is good for the planet. Furthermore, they are extra environmental-friendly because everything is made of 100% recycled plastic! They make a range of toys, that was just greatly expanded this year, from building blocks, to toy vehicles (such as a fire truck and a recycling truck), to bath toys (such as the seaplane and ferry boat). The packaging is simple and unimpressive. Used to flashy and fancy packaging that marketing departments come up with for us as consumers, this seems to be a bad indicator. However, they believe in their commitment to the environment completely, sticking to the bare minimum for packaging, which I applaud. I could only assume they have confidence that their products will sell themselves based off of the actual product, and not a bunch of overdone packaging. 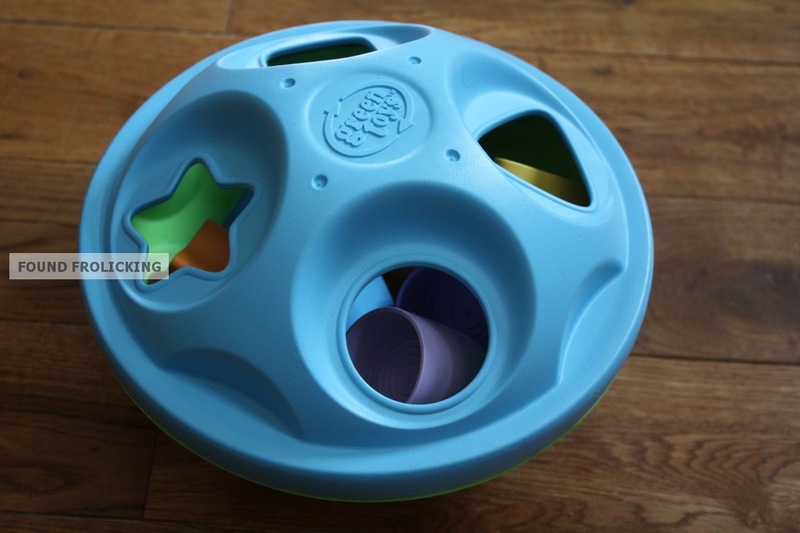 It is a sleekly designed shape sorter in the shape of a saucer, with slots for each of the four shapes on each side. Once out of the cardboard, I had to take the shapes out of the plastic bag they're packaged in. A moment of dread flickered in my head, knowing how frustrating these types of products are to work with sometimes. Was this going to be another toy that I had to fight to twist open? I was pleasantly surprised this wasn't the case! It opened quickly, and easily. 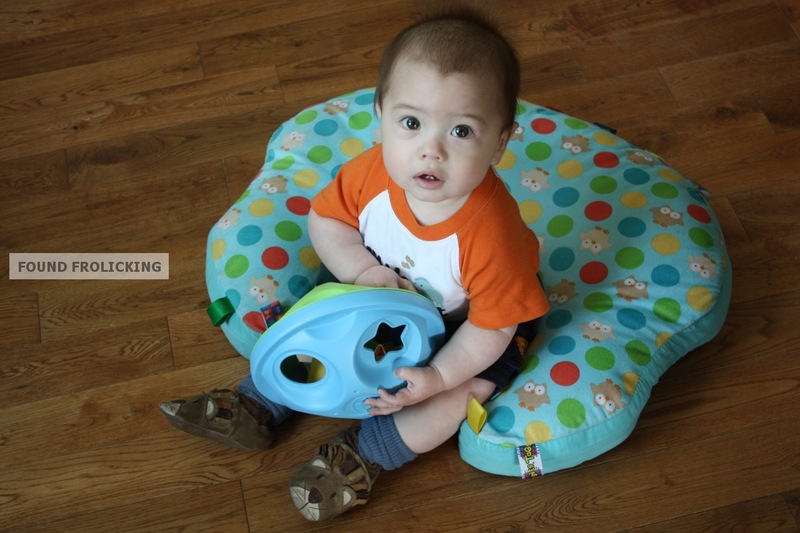 It closed just as smoothly, and the entire construction of the toy is safe, with no little cracks, crevices, or other features that can hurt baby. We've had this toy for about six weeks now, and Baby E still plays with it every day! 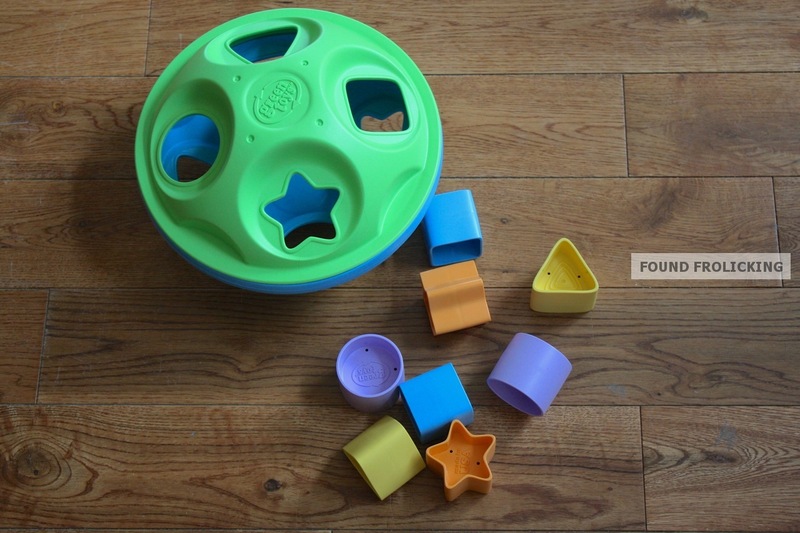 I love that there's 8 shapes (2 of each shape), since it makes a nice rattling sound when they're all rolling around inside the shape sorter, which my son adores. Even when a couple of the shapes get misplaced (as is bound to happen), there are still plenty to make it a functional toy. On the other hand, we had previously purchased another shape sorter, which only came with 4 shapes, and three of them were misplaced. 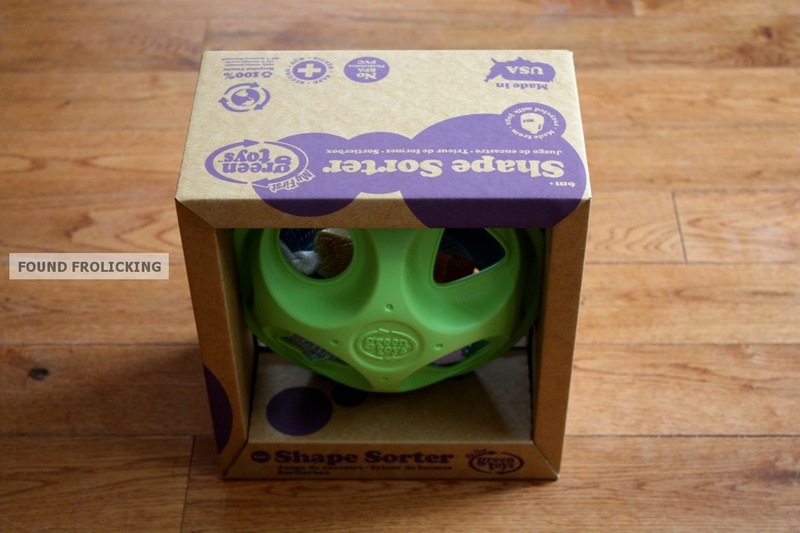 A shape sorter with only one shape is pretty obsolete! It's worth mentioning, too, this shape sorter with only 4 shapes (which was made in China, by the way) was only $2 less than I paid for this Green Toys one! 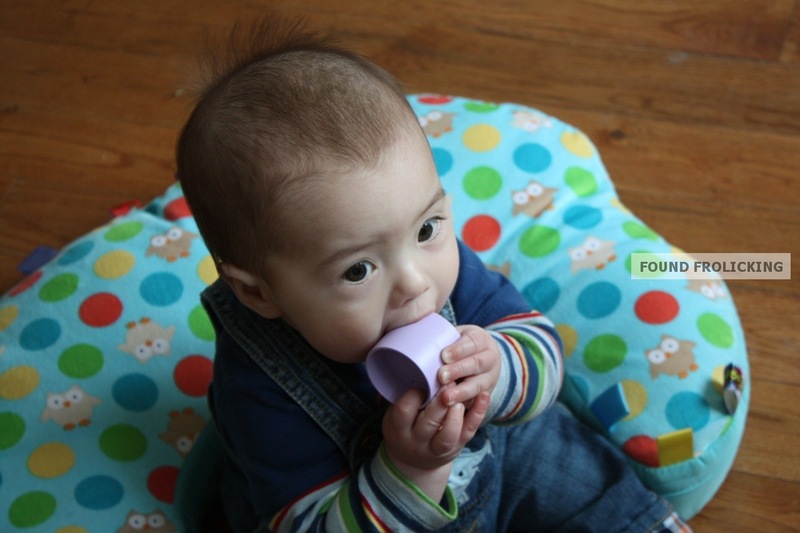 Toys like this shape sorter are great for a little one's brain, since they are discovering how things fit together. I think it's the reason Baby E doesn't get tired of playing with it from day to day. Since each side has slots for all of the shapes, my son loves rattling it up and down, and side to side, trying to get the shapes to fall out of the bottom. 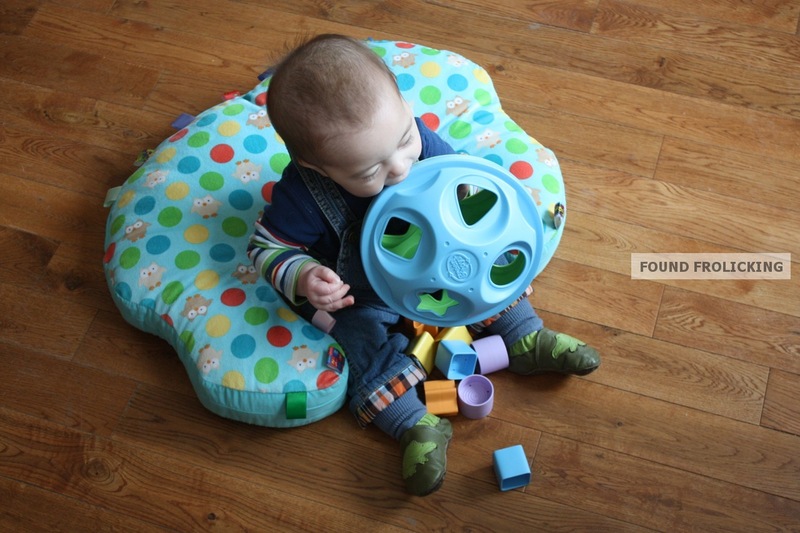 So it becomes a kind of 2-in-1 toy for him, since he first has to get the shapes in, and then has to figure out how to get them out! Being the clever little guy that he is, he occasionally is able to twist the sorter open, at which point he happily dumps all the shapes onto the floor. 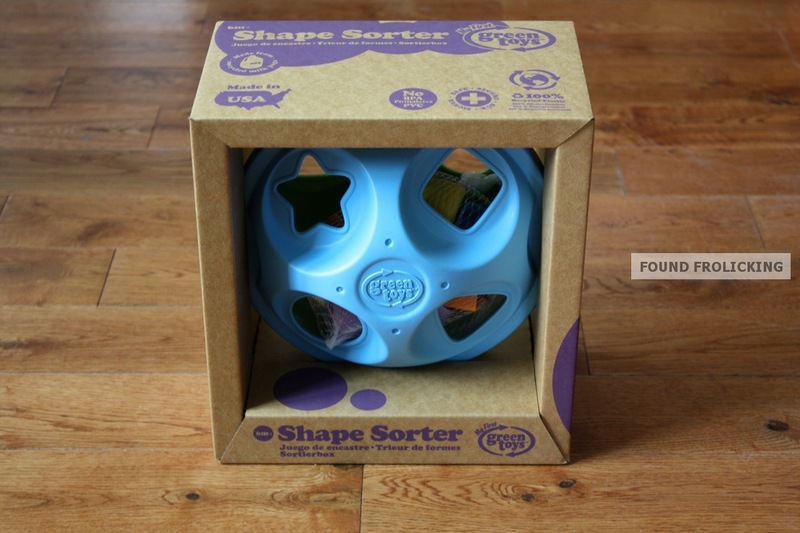 To purchase a shape sorter of your own, or take a look at any of the other products they offer, click here. All of the designs for all their products are so cute, I can honestly say I want to own one of everything, and I'm sure you'll feel the same! They make toys from 3+ months and up. 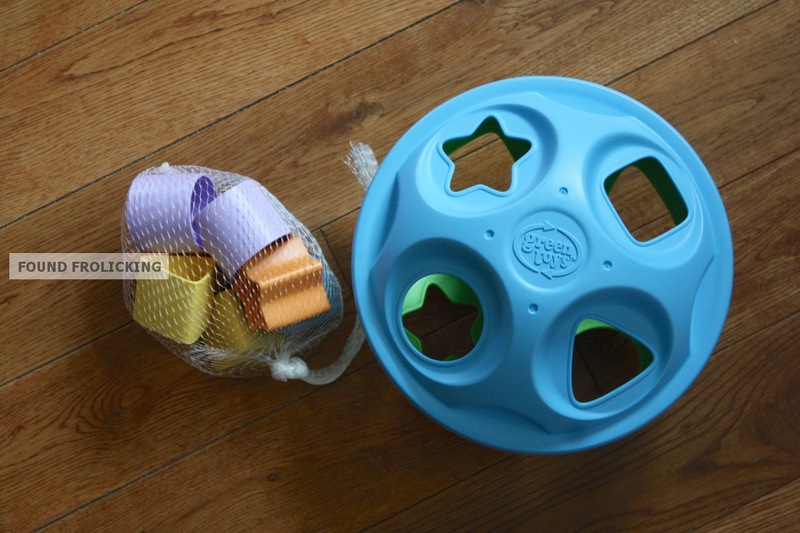 There are a lot of pictures of this amazing product just below, the first two pictures of my son with the shape sorter were taken the week we purchased it, but the later two were taken after we'd already owned it for over a month. 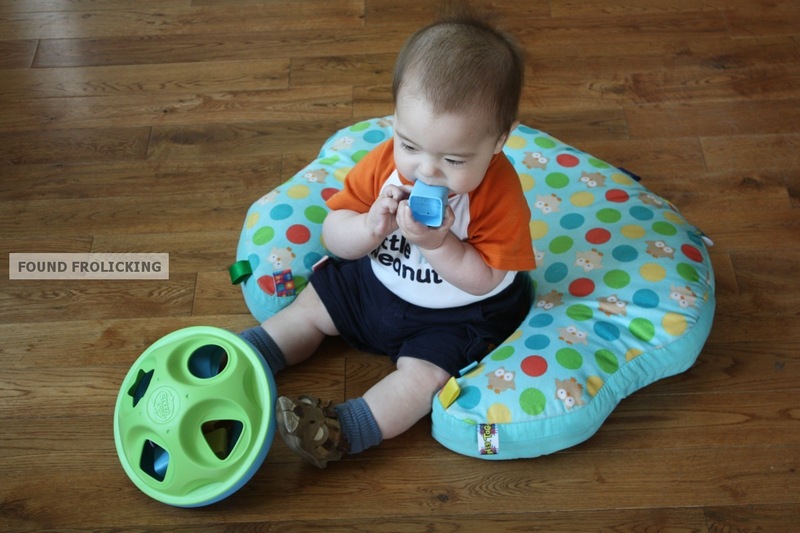 The amazing people at Green Toys have decided to do a giveaway for the blog! My very first giveaway! 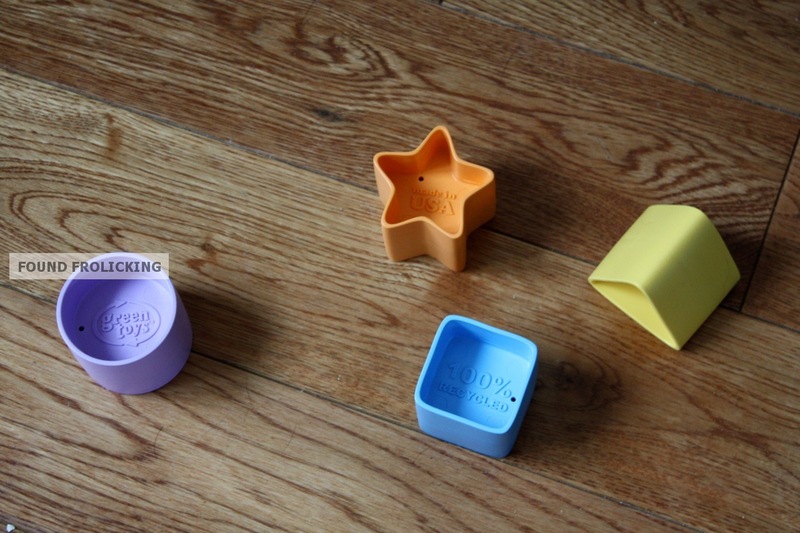 One reader will win their own Shape Sorter for their little one (appropriate for infants 6+ months)! Enter using the form below all the pictures using the Giveaway Tool. Good luck!!! Disclosure: This product was purchased by myself, and I was in no way compensated by Green Toys. This review is not tied to the Green Toys company in any way, and is a completely independent, honest review. The giveaway connected to this review was a result of my reaching out to the company, offering to write a review because of my satisfaction with the product. Found Frolicking is in no way responsible for recipient receiving their prize, but will work with the sponsor in all ways possible to ensure the winner receives their prize. Fine Print for Giveaway: Giveaway open to American and Canadian readers (readers who are residents of the US or of Canada). Please make sure your email and mailing address are correct, so that you can be reached if you win. The winner will have 48 hours to respond to the email sent out to them, and should a response not be received within that time, they forfeit the prize. Please follow the instructions for each entry, as you have to have done what was instructed for your entry to count. All entries will be verified. Found Frolicking is in no way responsible for recipient receiving their prize, but will work with the sponsor in all ways possible to ensure the winner receives their prize. I Love Shape Sorters! I think they are one of the best ways for children to begin to learn shapes. Shape sorters are awesome. I remember when tupperware had them. It is good to know that they are green now! I also have to say your little reviewer/model is such a cutie! That is a classic toy! Love it! Oh, btw... your "giveaway tools" link goes to the html embed code, not the tool itself, so we can't enter it! Hi! The form is now working if you would like to enter. Sorry about that! I like the Green Toys™ Tractor. I like the Green Toys Rocket! Love the shape sorters and rocket! i love the tractor they have now! Isn't it so cute??? That's at the top of my wishlist, too! The Green Toys tractor would be a big hit with my boys! I absolutely love the pink dump truck!